1. If you’re new to Primal and are looking for some creative dishes to kick start your new healthy lifestyle this book is for you. 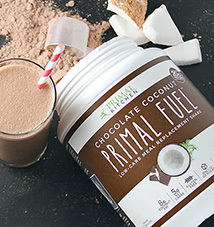 You’re about to embark on a new health journey – Primal living – and that’s one of those big life changes, which tend to be overwhelming. To better assist you in the transition, why not stack the deck with every tool imaginable to help you overcome any future difficulties? 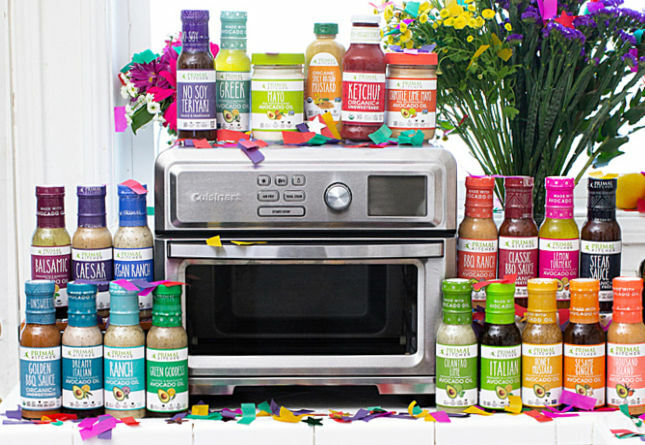 Having a compendium of sauces, dressings, and toppings will ensure all these new foods you’re about to introduce into your diet stay new, stay fresh, and stay exciting for years to come. Hit the ground running, I always say. Bring a rocket-propelled grenade to a gun fight. 2. 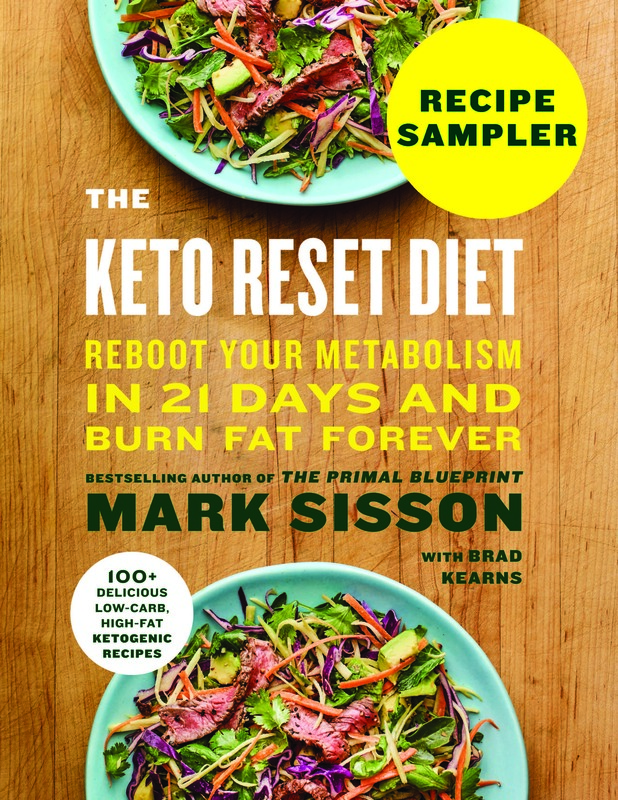 If you are already Primal but your regular, go-to, staple meals could use some updating this book provides all the tips and recipes you need. We just went over the looming spectre of the dreaded food fatigue yesterday, and there’s no simpler, easier, or more efficient way to waylay the beast than through the application of a velvety, viscous, mouth-coating Primal sauce to whatever food is currently fatiguing you. Just try making the spicy red pepper coconut sauce next time food fatigue is hanging around the kitchen. It’s hilarious to see it freak out. It starts out cocky enough. You smash a couple cloves of garlic, chop scallions, and seed a chile and it laughs in your face, but there’s a nervous sheen to the laughter. When you pull out the blender and turn the first set of ingredients into a frothy affront to its existence, the laughter stops. And then, once the coconut milk and lemon juice comes in, food fatigue runs shrieking from the kitchen. The book is full of sauces with a similar effect on the rascally little fiend. 3. If you like what we do here on MDA, book sales make it all possible. I love doing what I do here, every day, on this blog. The books, the supplements, the other merchandise are all great products that I truly believe in, and they’re also there so that I can keep bringing you guys daily updates and musings. Without this outlet, I’d probably go crazy. The blog work is still writing, but it’s not the same as writing a cohesive book. It’s relaxing (sort of), quicker, easier, more enjoyable. Each post is self-contained without the need to flow into the next one. 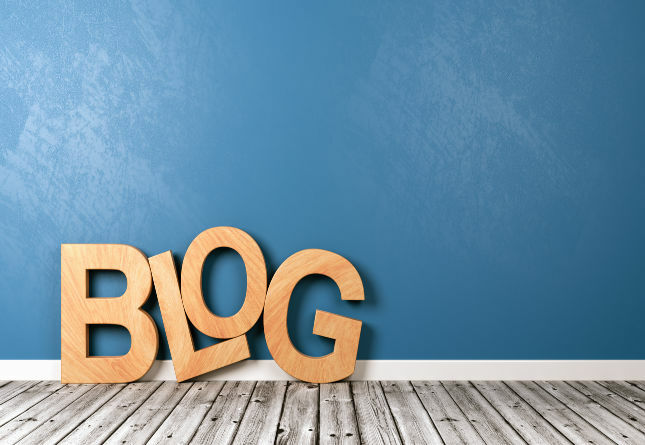 Writing the blog is almost like having a break from the “real” work. Problem is, I need to do the real work to make the blog pay off. More importantly, I need people to read and support the real work to make the blog run. 4. 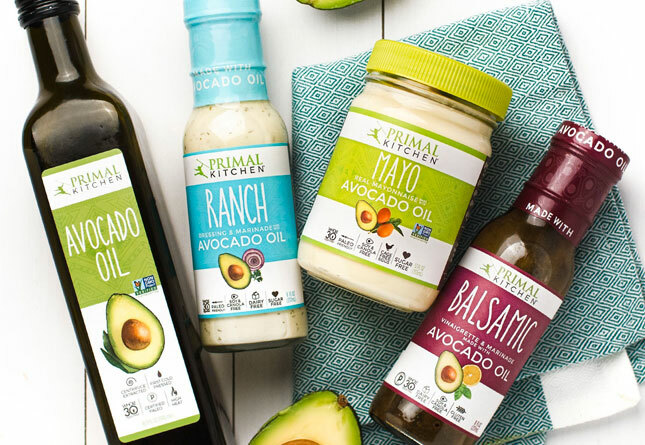 If you like The Primal Blueprint Cookbook, Primal Blueprint Quick & Easy Meals and MDA recipes, you’ll love Primal Blueprint Healthy Sauces, Dressings & Toppings. We’ve got a pretty good track record with recipes, if I do say so myself. The response to our cookbooks and our Saturday recipes has been hugely positive, and I’m confident you’ll like the sauces, dressings, and toppings just as much. Plus, Primal Blueprint Healthy Sauces, Dressings & Toppings was designed with all previous PB cookbooks in mind. If an older recipe already has a sauce, you’ll be able to find several in the new book that work just as well with the dish – if not better. 5. 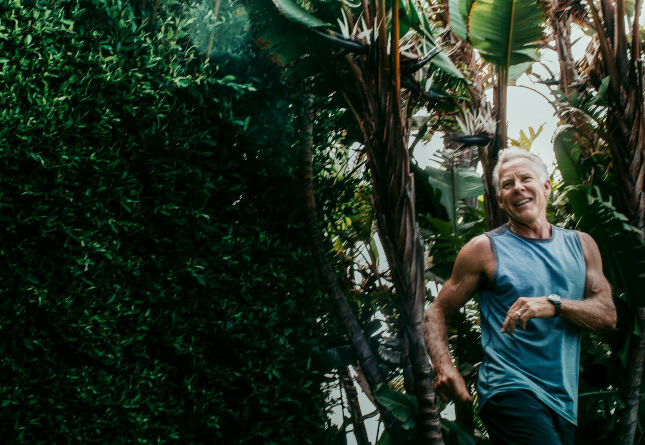 Buying a copy will help us continue to spread the word and expand the Primal movement – helping others around the world take control of their health. As much as we relish taking control of our own health into our own hands (what a novel idea, eh? ), it’s also important to give others the opportunity to do the same. And yeah, you could make the argument that the information is there for those who want it. I won’t argue with that. I’ll just say that the more copies we sell, the bigger we get and the more resources we have to continue to spread and expand the Primal movement. The bigger we get, the more this information gets “out there” so that the wider world can take a gander and, hopefully, do the same as we all have. The classic SNL skit really doesn’t lie, does it? 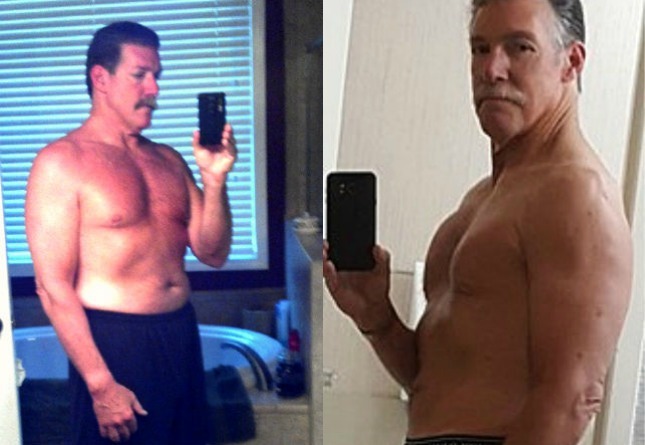 Although most of us aren’t lucky enough to have a quartet of mustachioed gents serving us juice and then repeatedly ensuring that we like it, we can make our own “juice” and then like it. And by juice I mean sauces, dressings, toppings, and any other concentrated edible liquids in general, which are just amazing and delicious. They provide the essence of whatever it derives from, whether it’s gyro meat with errant ‘stache hairs in it or the ingredients of your healthy dressing, in pourable form. If you like a da juice, buy the book and learn to make your own. 7. It makes a perfect holiday gift. Everyone loves a good sauce, dressing, and topping, and yet all across the globe, refrigerator doors are lined with crusted over bottles of soybean oil ranch, bottles of “olive oil” that simply will not harden, and leftover takeout sauces that are more HFCS than anything else. People need your help. They need good sauces, and they need them quickly. Don’t let them make it into the new year without this book. With any luck, the giftee will get so excited about the book that they’ll leap up and start whipping up food, all the while calling you in to the kitchen to test all the sauces (might want to bring a spoon, just in case – what, you guys don’t carry pocket spoons?). 8. Order just a single copy and get $100 in bonuses. Oh, yeah, and on top of that, you get a nice sauce recipe book, too. Learn how to get these bonuses here. 9. Grab three or more copies and get a plethora of additional bonuses worth $159. Plus the books themselves. If you want to get your Christmas shopping done fast, this is the way to do it. Again, you can learn how to get all these bonuses here. 10. The special offer ends tomorrow! There’s no better time than now. In fact, there is no other time than now. This is ultimately what it comes down to, isn’t it? There’s a good book full of helpful recipes for delicious, healthful sauces and dressings and toppings, an amazing deal that’s only available if you purchase said book(s), and a single day remaining to take advantage. In two days’ time, the book will still be there available for purchase, but none of the other stuff. If you think you might like the book somewhere down the line, why not just buy it today and get the extras? The book stands on its own, but we all like free stuff – don’t lie. That’s what I’ve got, folks. If any of these reasons resonated with you, consider picking up a copy or three. I’d be forever grateful. Get Your Copy of Primal Blueprint Healthy Sauces, Dressings & Toppings Today! 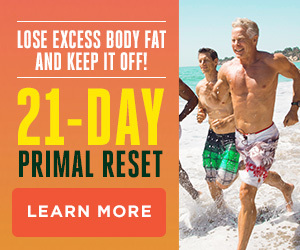 Become a primal Sauce Boss! I plan to get a copy because I don’t know much about making sauces and would like to get more salad dressing recipes. You forgot a reason to buy the book. To support Mark because he gives us free content every day on MDA. You are correct, I blanked. I didn’t take my omega 3 yet today. Wayne, I think Mark’s book is a great place to start. If you would like to learn more about sauces James Peterson has a saucebook that is very comprehensive. I really like the newest sauce book “Modern Sauces” by Holmberg and Silverman. Are they all primal? Of course not, especially when a sauce starts with a roux. BUT one can do there best to adapt them. Finally, let us not forget an under rated sauce boss in Harley Morenstein. 100% not primal but a 100% awesome. You guys are so saucy! I purchased the book on the first day and got it 2 days later.Enjoying the freebies too, now I want one on deserts. This book is awesome. Highly recommend. Freebies alone make it worth the $18. Still haven’t gotten the freebies and I purchased the first day! Did you submit your receipt of purchase? The confirmation said Mark’s gifts in 24 hours and sponsor bonuses in two weeks. Need the Kindle version to be available! Any way you can figure to make it available on kindle to those of us outside the US who’d like to take advantage of the launch offer? I’m in Greece and had the same problem, Nudge. If you have an iPad, iTunes has it, so that’s an option too. BTW, if I hadn’t already bought it, the mere mention of “You like a da juice!” would have pushed me over that hurdle. Man, the memories; the spittle; the poor soul standing in front of me. Thanks Stipetic, (sorry – the reply to you option is not available below your comment for some reason, so I’ll just babble on to meself).. 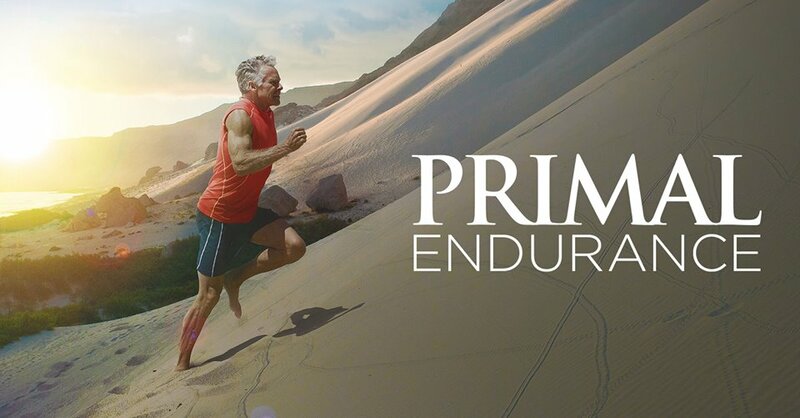 I tried the itunes as you suggested, but the NZ store only has the original Primal Blueprint (not the “30 Day” or the other cookbooks, including the new one. Le sigh. In any case, the two other books of Marks which I own already are also in Kindle format – is weird and particular that I want them all together in the Kindle app on my ipod, rather than this one floating over on Apple’s Books? What if you were to proxy to an american server and try purchasing the books that way? Just a thought. I was hoping the ten reasons were going to be 10 different sauces/dressings/toppings. :'( Probably would’ve been reason enough for me if I wasn’t already planning on getting it! I ordered a copy and sent in my receipt. I did receive an e-mail with the code for the free gifts though, sadly, they are not working. Does any one have suggestions or know who I should contact? Many thanks to everyone that has already purchased a copy of the cookbook! If you submitted your receipt through the correct form and didn’t receive an email response within 24 hours please check your junk/spam folder. Keep in mind that all sponsor bonuses will be distributed within two to three weeks from Dec. 5, so if you haven’t received those yet don’t worry. They’re on their way. numbers 2 -6 applies to me the most. I will be buying 3 copies: one for my sis, one for my client and one for me as we all love to cook. Having “da juice” is my motivation as I love creating new paleo/primal sauces. Thanks Mark & team for all that you do! Along with about a million other things, I am severly allergic to yeast/brewers yeast… so what percentage of the sauces in this book are made with vinegars? It has been a huge problem with other Paleo recipe books I have purchased. I would be grateful to know! Thank you so much! Verjus (verjuice): the tart juice of unripe grapes. It’s an excellent way to add acidity to dishes without using vineger. Lemon or lime juice: Not quite the same flavor as vinegar, but can work very well depending on the dish or sauce. Distilled vinegar? Not sure if the allergens in the yeast would survive fermentation, but it seems unlikely. (guess you would probably already know). Citric acid powder: available on line or in some specialty food stores. Not sure if it’s exactly primal, but I think it’s pretty harmless. I like to use a little to add tartness to dishes without adding extra liquid. Or you can mix with water and use in place of vinegar. Pomegranate molasses: it’s fairly sweet, but with a really tasty tartness as well. Not something you’d want to use a lot of, but probably no worse than honey or maple syrup in small amounts. hopefully, there are are other excellent ideas in Mark’s book. Yes, there are numerous recipes that use vinegar (apple cider, balsamic, white wine, etc.) – a couple dozen or so of the 120 recipes. Thanks, Mark A, for the helpful reply. As you pointed out, there are a number of great alternatives for those that avoid vinegar. Thank you so much! I really appreciate knowing there will be many I can use! Mark A, there were a few you mentioned that I have not yet tried – thank you so much as well. I know what I am getting myself for Christmas! So excited! I received this book in the mail today and just finished thumbing through it. On first glance the recipes look really good, but the thing I like the most about it is the short ingredient list. Most recipes look like they only call for 5-6 ingredients and most of those are things you probably always have on hand. That’s a huge plus, and I’d say this looks like another winner from Mark and Co. I got it from Amazon two days ago, and I LOVE it! I can’t wait to dress up all my meats and veggies with the gorgeous sauces! I still have to do that wonky uploading thing to get the freebies, though. How long do I have? I’ll have to enlist the assistance of somebody younger to finish the process (hangs head in shame). Don’t feel bad, Connie. You’re not alone. The Primal Blueprint Audiobook mp3 is one of the bonuses, and I have to admit I really don’t have any idea what to do with it. I don’t have an iPod or other mp3 player, so I guess I can just download it to my computer and figure out what to do with it another day. Hi Mark, all the way from Australia. I ordered a copy to support you and as a way of thanks for your incredibly informative and well written articles. You come across as such a decent man in all your posts. The book is wrapped and under the tree waiting to open on Christmas morning – didn’t even have a peep when it arrived, knowing it’s going to be a great read when I open it. Cheers from Di. Coincidentally, Peterson’s Sauces is open on my desk as I was reading this column. My two favorite Mises: Ludwig von Mises and Mise en Place. I’ve been raising my culinary game, working on becoming a sauce boss! Great book BTW only got it today and left it at work!!! Here is my review I put on Amazon: I recently started the 21 Day Total Body Transformation by Mark Sisson. We are on Day 4. Last night was very chaotic and I found myself in the usual “Let’s order Indian” mood. But…. On Day 2 of the Total Body Transformation I had stocked the house with food (from a handy list provided) that I didn’t want to waste. 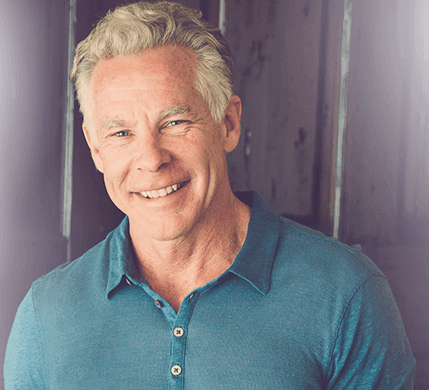 Conveniently, around 6 pm all 4 of the Mark Sisson Primal books I ordered arrived from Amazon. I picked out two recipes and had all the ingredients except sherry vinegar right on hand. I made pork chops with the mustard sauce from page 201 of Primal Blueprint Quick and Easy Meals. It was indeed quick and easy. My husband kept asking, “How did you make that sauce so fast?”. My response- our kitchen is all ready for this cookbook and way of life now! We had a romaine salad with cherry tomatoes and hearts of palm to go with it and I made the bacon dressing from page 126 of Primal Blueprint Healthy Sauces Dressings and Toppings. The dinner was gorgeous and definitely on the table faster than take-out would have been. A damn sight healthier too. Right now I am sipping on the Savory Smoothie from page 47 of the PB Quick and Easy Meals. Yummmmm. I told my husband I want to make it our goal in 2013 to cook our way through these books! He agrees. Just flipping through the pages of this book makes me want to EAT! It was so delicious. Salads have been a challenge for me because I despise bottled dressing…all the gums and sugars and rancid oils, pure JUNK. Plus, they taste awful This book is going to help me ramp up my salad intake. Thanks Mark! It was pleasant to read about pocket spoons. Sometimes I carry pocket spoons in my backpack. I also tend to carry pocket knives. They can be handy. A couple weeks ago I was walking along a dog park trail and found a dead squirrel, body cavity open and entrails out in the wind. I suppose a dog got to it. I don’t like to pass on good carrion so I went over to see if I could get some meat. A man walking his dog saw me get down close and examine and smell it. I was drunk so I thought that was very funny. The squirrel stank awfully but I thought the brain might still be fresh so I used a little knife and some multi-tool pliers to access it and tear out a shred. It also emitted a thick reek but in my sloshed state I thought it might still taste alright so I tasted it and it was repulsively rotten. I hope to find a fresh one soon.